What Could You Do With 682 Billion Dollars? The National Retail Federation is predicting a 3.6-4% increase in holiday sales for 2017. Based on 2016’s $655.8 billion spend, a potential $682 billion dollars is on the line and could be, in part, in your store. We’ve talked about the Amazon Effect and how it can actually help you boost retail sales in local brick and mortar stores. The holidays give you the best opportunities to attract and engage customers with online and in-store strategies. The holidays are all about inspiration and consumers are looking online for their inspiration. PWC’s 2016 Total Spending Report says that 37% of consumers look to websites for purchase inspiration. If you don’t have a website for your retail store, you are walking away from these consumers. When consumers are in the decision-making process, the numbers increase even more, becoming more lucrative. While they are online, 68% of consumers want the ability to compare prices. A retail website gives consumers the ability to see what you have to offer and price-compare items. If you can’t bring your prices to online offerings, do not worry; 49% of customers are willing to pay more for a personalized in-store experience according to Time Trade’s 2017 State of Retail Survey Report. While customers are online, they are going to be looking at more than your website. PWC says, “A retailer’s website…should be consistent with and connected to the company’s social media…and make conversion of social media leads easy”. When looking for ideas, 47% of social media users in the survey said they look to sites like Facebook and Instagram for recommendations. If you’ve avoided social media marketing for whatever reason, the holidays are a great time to get in the game. Not only can you inspire customers with posts telling what new products you have in store for them, you can attract new customers. Social media promotion is budget-friendly and allows you to target social media users who are looking for what you have to offer. The holidays are all about experiences. 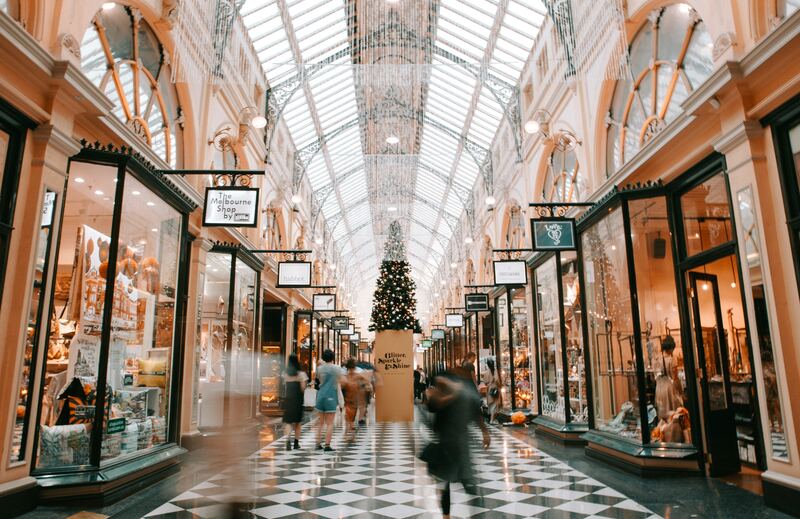 Once you’ve gotten your holiday marketing promotions online and drawing customers, it’s time to look inside your store. Marketing should not stop at your doorstep.The in-store customer experience is your best opportunity to engage, delight, and create repeat customers into the new year. Online content promotes what your store has to offer—in-store experiences show it. increases the average purchase by 29.5%. generates a 31.8% increase in overall sales. has a recall rate of 83%. shows a 32.8% growth in repeat buyers. Digital signage not only increases views, sales, and customer engagement, it reduces the time and resources your staff need to manually change labels and static signs within your store. You could say it's the holiday gift that keeps giving. The National Retail Federation says that 54% of consumers begin researching holiday purchases in October. That means you have no time to waste in getting your online and in-store marketing strategies implemented. In the coming weeks, Sellr will be continuing to report on digital marketing trends for the 2017 holiday season—but don’t wait! Contact us with questions you have about staying ahead of the competition. $682 billion. That’s a lot. Sellr makes marketing simple because we know you have other important business to do, especially during the holidays. Visit Sellr.com to learn how Sellr makes selling simple.